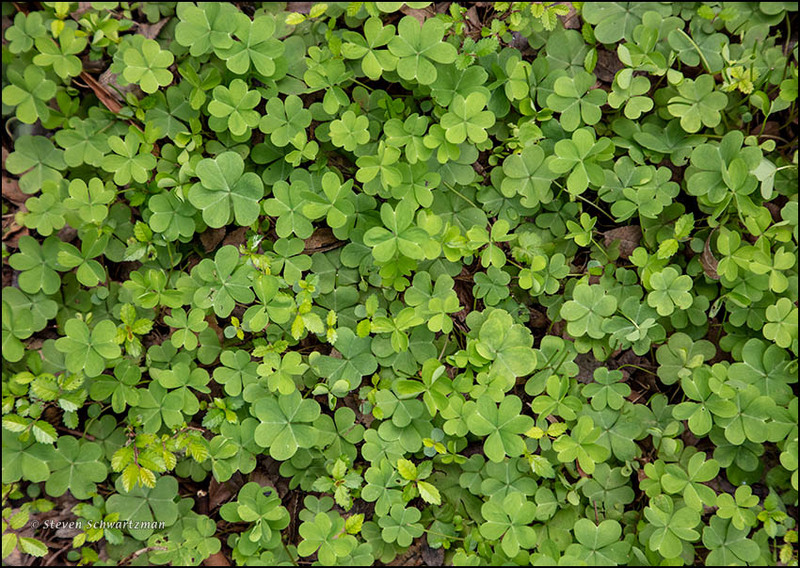 ‘Tis not shamrocks but wood-sorrel (Oxalis spp.) greening the ground in our back yard on February 25th. 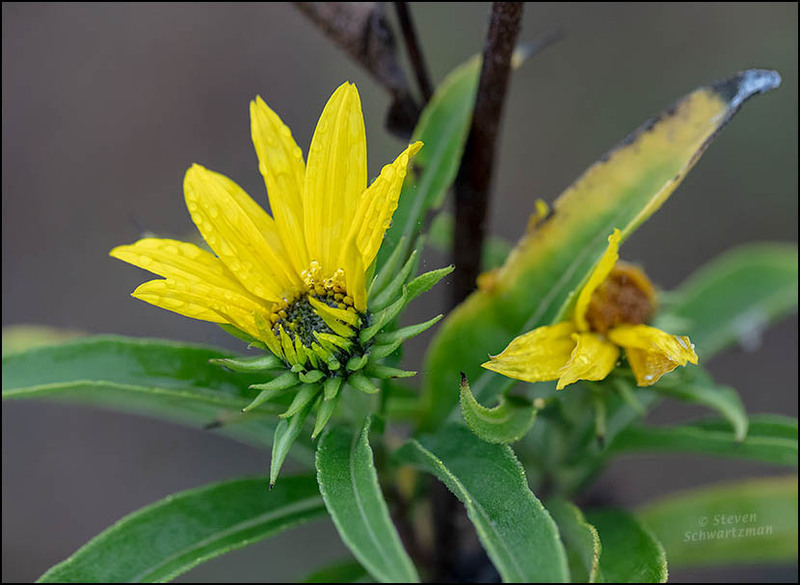 Maximilian sunflowers (Helianthus maximiliani) are fall-blooming wildflowers—except when they decide to bloom in February. More precisely, the date was February 27th, and the place was the northeast quadrant of Mopac and US 183. 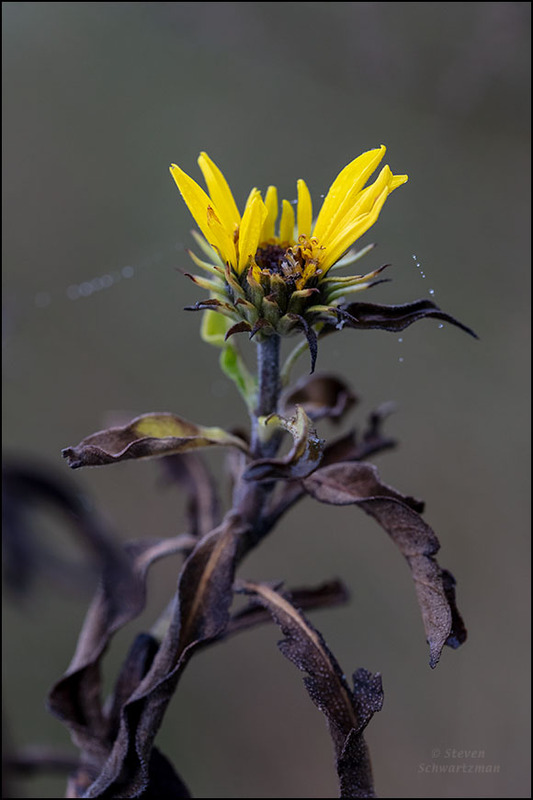 In this perennial species even a plant with dead leaves was giving rise to new flowers. 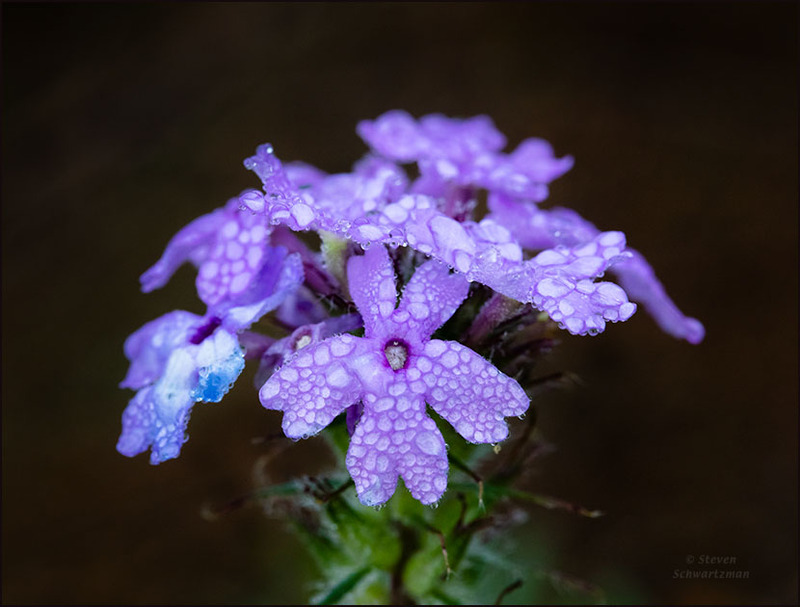 In both photographs the droplets attest to a morning that had been misty and occasionally even drizzly. In fact I’d gone out hoping to photograph some fog but it had dissipated by the time I reached this site. Speaking of which, I’ve photographed Maximilian sunflowers on this plot of land in their traditional season, and I’ve also photographed common sunflowers there. It was on one of those that I took a picture of a tiny bee fly that got Freshly Pressed in just the second month of this blog way back in 2011. Maybe you’ll be freshly impressed if you take a look at it. In case you thought yesterday’s picture of bright yellow camphorweed barely counted for wildflowers in December because the flowering came only three days into the month, here’s a picture of a droplet-covered prairie verbena (Glandularia bipinnatifida) on the misty morning of December 18th at the Riata Trace Pond. As you heard once before, on the morning of December 3rd last year I set out to get some fog pictures. I didn’t get any, unless you count pictures of plants covered with droplets that had condensed out of the fog. 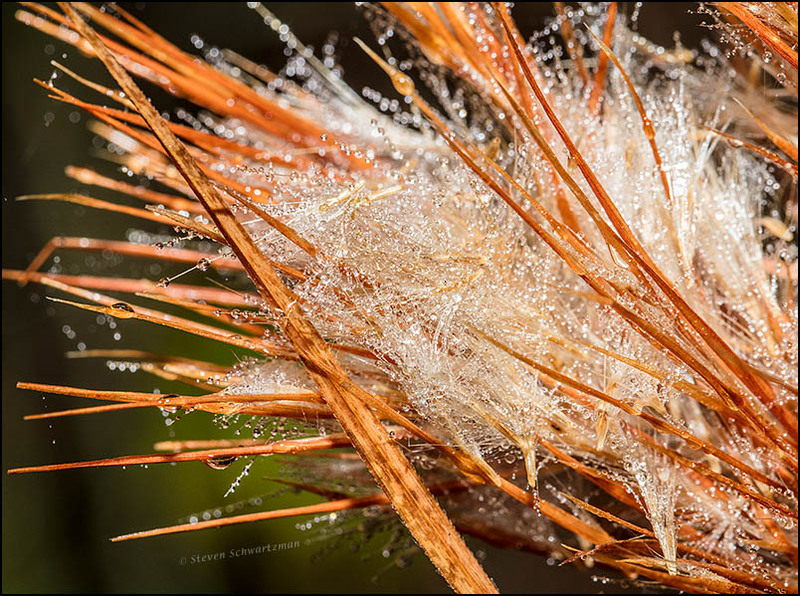 The bushy bluestem (Andropogon glomeratus) seed head shown here is another example. If you’re unfamiliar with this native grass that takes on delectable colors and textures in the late fall and winter, you can look at a stand from farther back in space in time. 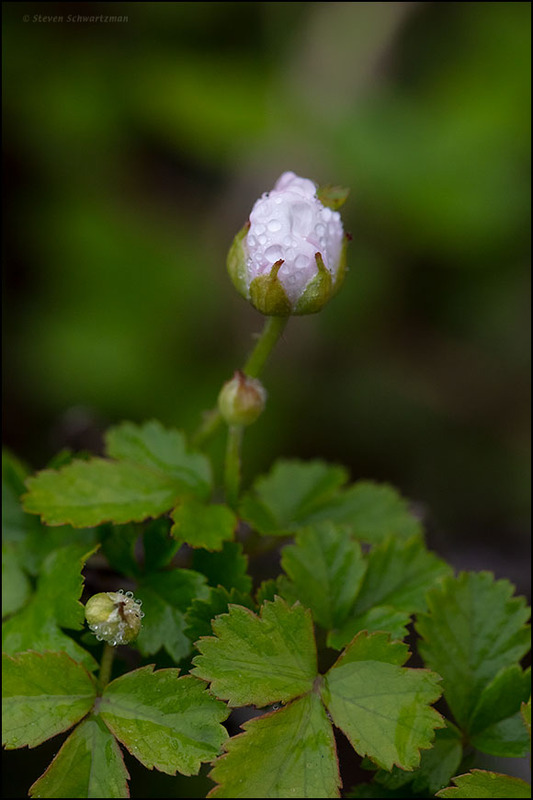 The first two had white in their names: white prickly poppy and white avens. 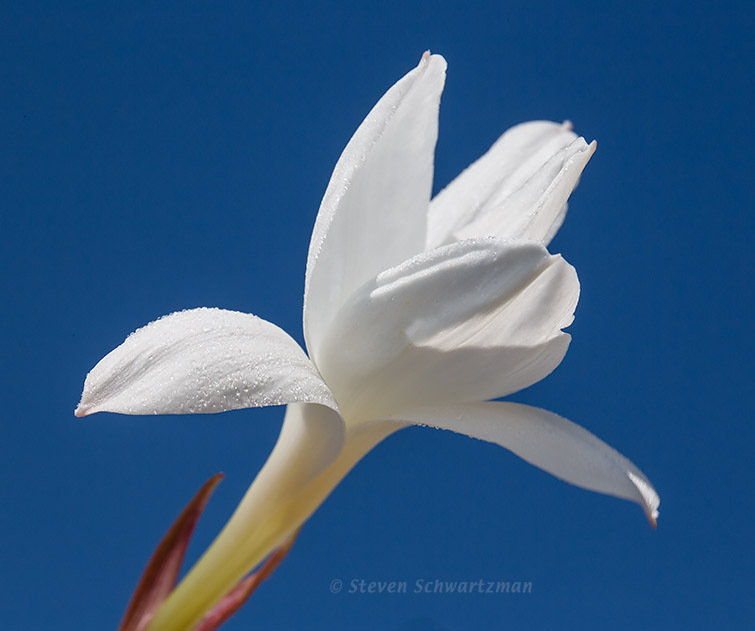 The rain-lily, Cooperia pedunculata, isn’t named that way, but it’s white all the same. This one was growing near the intersection of Brite Rd. and FM 713 in Caldwell County on April 23rd, a few days after the rains had begun making themselves at home in central Texas. That said, I think the droplets on this flower were from dew rather than rain.